George H.W. Bush, the 41st president of the United States who died Friday at age 94 at his Houston home, was honored with a series of services and memorials from Dec. 3 to Dec. 6 in Texas and Washington, D.C. He was buried at the George Bush Presidential Library at Texas A&M University, next to his wife, Barbara Bush, and their daughter. 1 People pay their respects as the train carrying the casket of former President George H.W. Bush passes, Dec. 6, 2018, along the route from Spring to College Station, Texas. 2 People pay their respects as the hearse carrying the casket of former President George H.W. 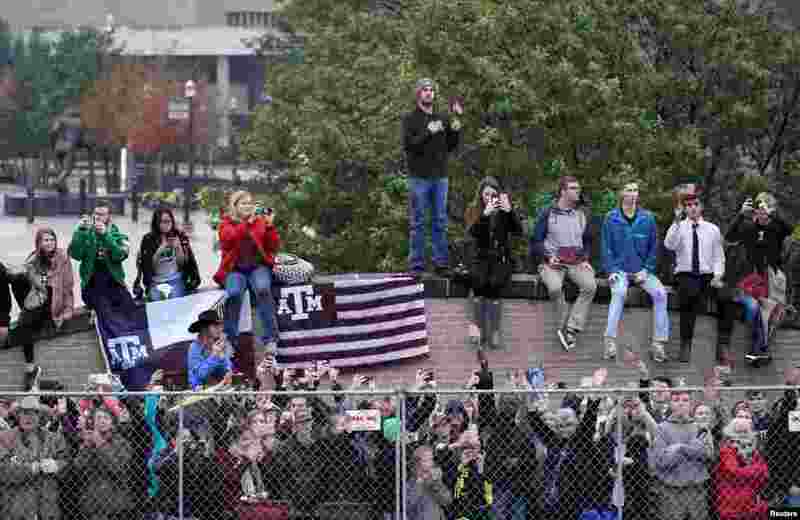 Bush arrives on the Texas A&M campus, Dec. 6, 2018, in College Station, Texas. 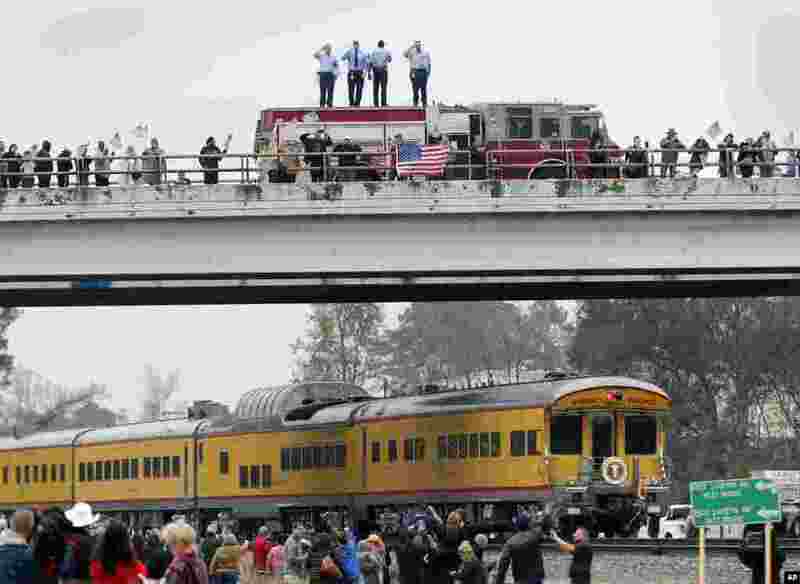 3 Firefighters stand on their truck and salute along with other attendants on an overpass as the train carrying the body of former president George H.W. 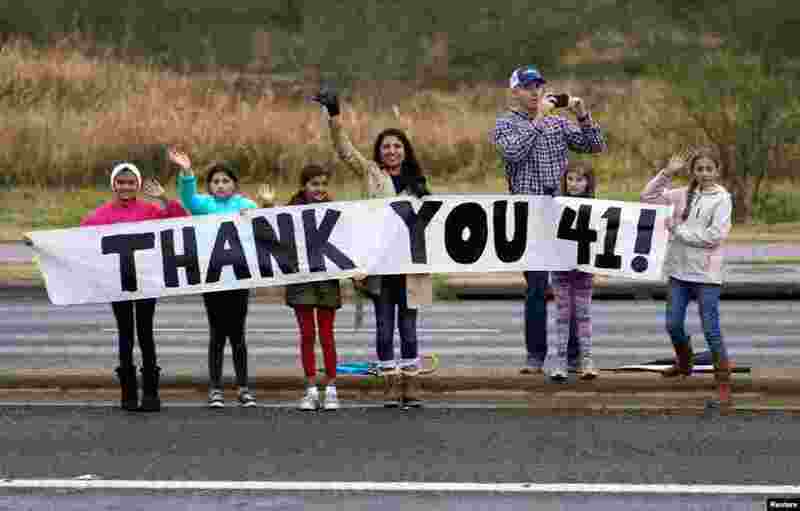 Bush travels past on the way to Bush's final internment Thursday, Dec. 6, 2018, in Spring, Texas. 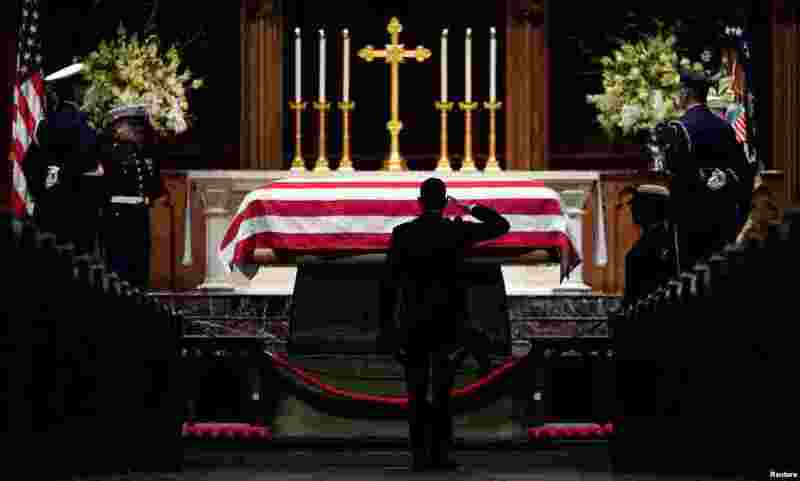 4 People pay their respects as the flag-draped casket of former President George H.W. Bush lies in repose at St. Martin's Episcopal Church in Houston, Dec. 5, 2018.